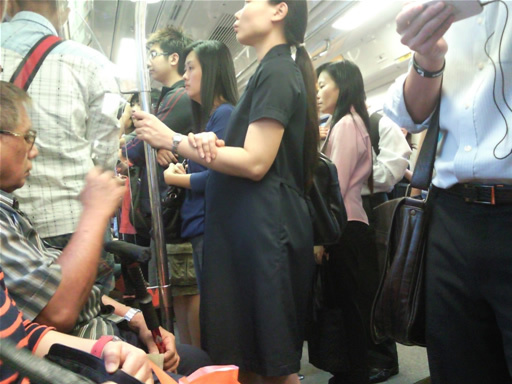 giving up their standing space for a pregnant office lady. She is carrying her laptop bag and her baby in the womb. 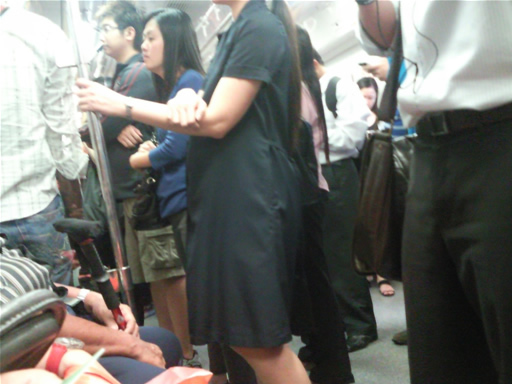 The train heading towards Jurong East is super crowded on a friday evening. 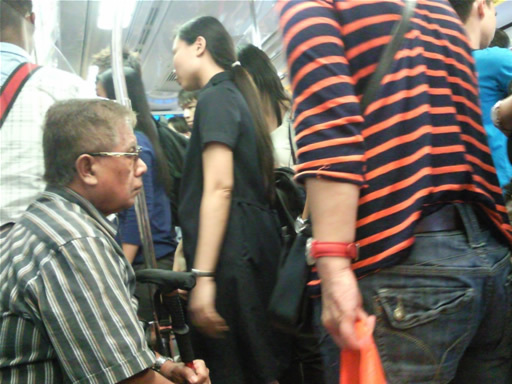 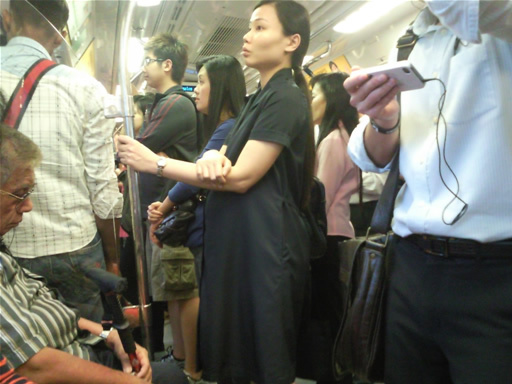 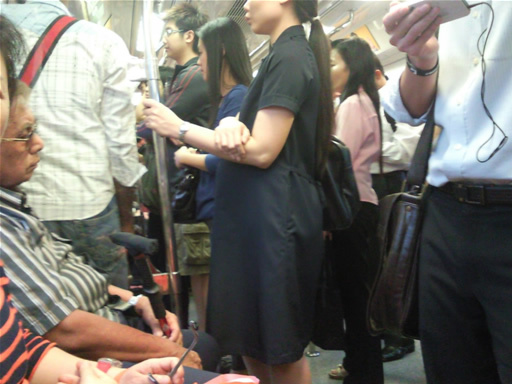 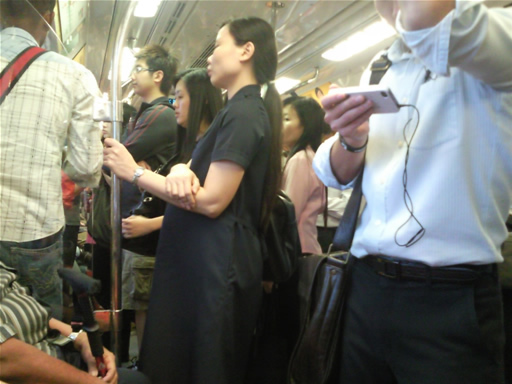 The elderly man carrying walking stick doesn't seem to be able to give up his seat for her. 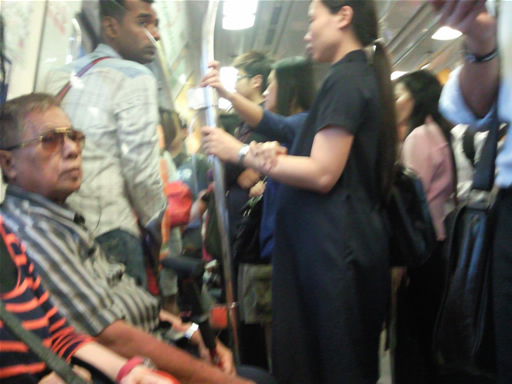 What about the 2 aunties next to elderly man? 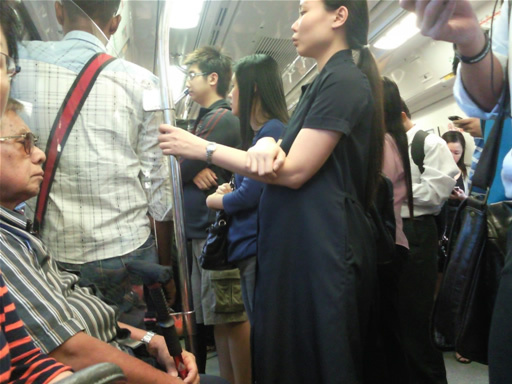 Thankfully we men do not need to be a seahorse carrying babies. 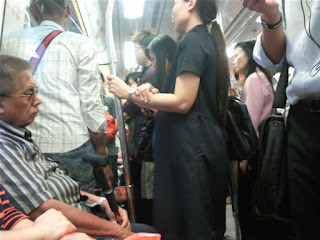 Who is gonna give up a seat for this pregnant lady? Aunty: "I should be giving up my seat for this pregnant lady"
Aunty still chatting away , pregnant lady shrudds. Who is gonna give up a seat for this pregnant lady? Forget it ! 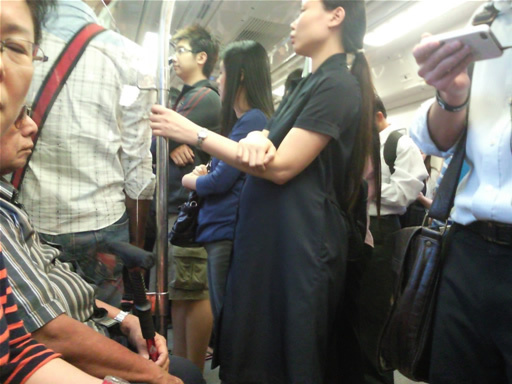 Cat Lover treating a run-away cat in Jurong area. Tablet getting bigger and better by the day!